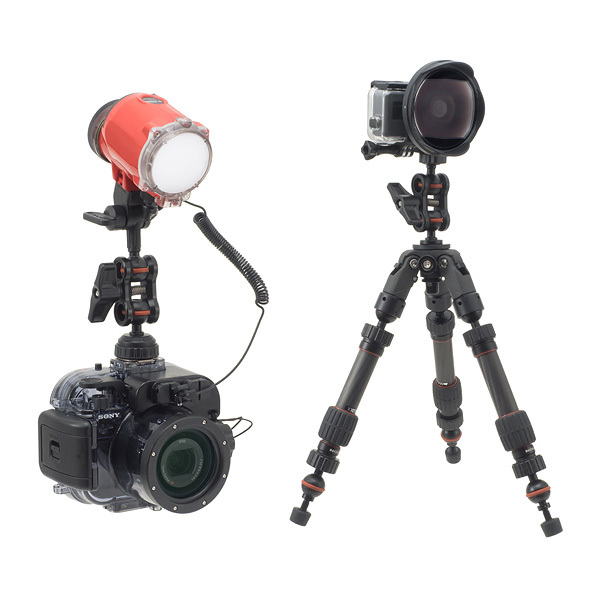 Base adapters to make simple yet compact strobe/light/action camera etc. installation on the "Accessory Shoe (Cold Shoe)" of an underwater housing etc. 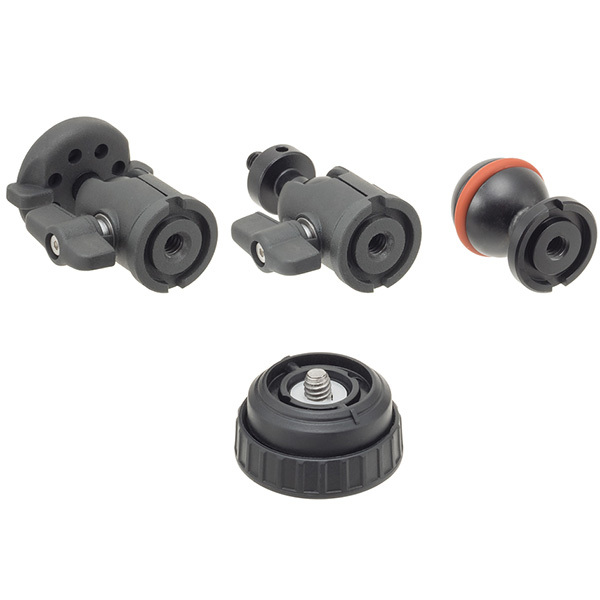 These improved Shoe Bases provide more secure installation on an accessory shoe. Head parts differ among different model having either of "1/4 inch screw", "M6 screw" or "ball joint". 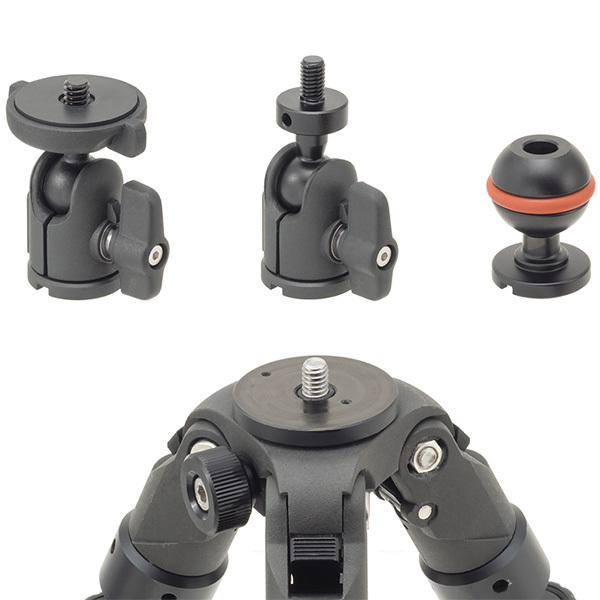 All Shoe Bases are designed to separate head part and base part to use head part standalone for a tripod etc. 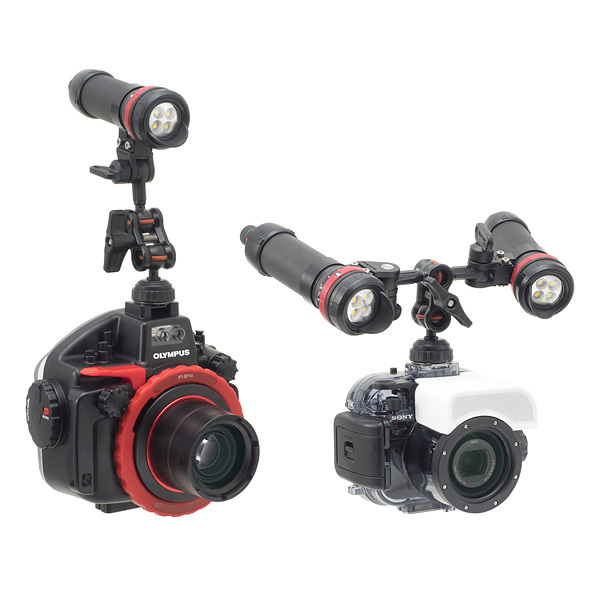 A versatile Shoe Base equipped with "ball-joint" on its head to link with any adapter having a ball-joint via clamp to install strobe, light or action camera on an accessory shoe of an underwater housing. 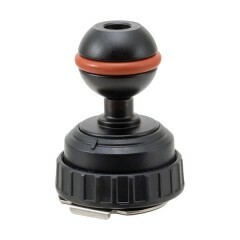 The upper ball-joint part is removable to use standalone to attach on a tripod etc.